I adore the texture of this frosting. It is truly one of the lightest and fluffiest buttercreams I have ever made. 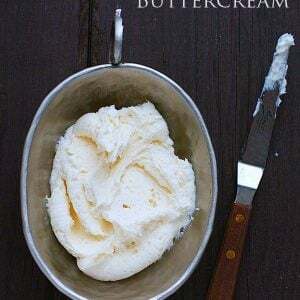 Cream butter in a mixing bowl with an electric mixer on medium until butter is light and fluffy. Gradually beat in confectioners' sugar, about a 1/2 cup at a time. Once fully combined, gently fold the marshmallow creme into the frosting.